Don’t you love those spur of the moment purchases? I was wandering the aisles of Myer this week and found this little beauty. 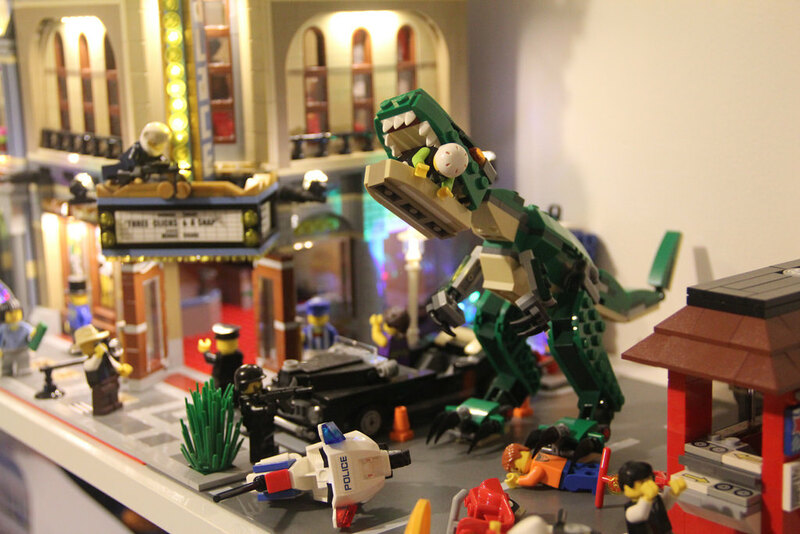 I don’t own any dinos and thought it would look brilliant in my street scene at home, so I grabbed a copy. Little did I know what was in store! 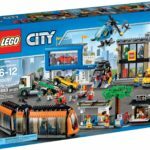 These Creator sets are excellent value – the models are enticing, make great display pieces, and often employ great build techniques and interesting elements. 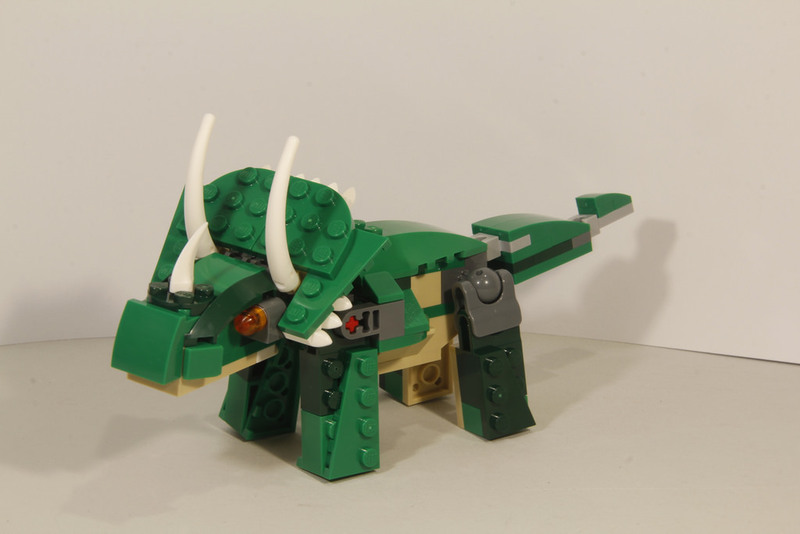 It’s been a long time since we’ve had a brick built dinosaur. 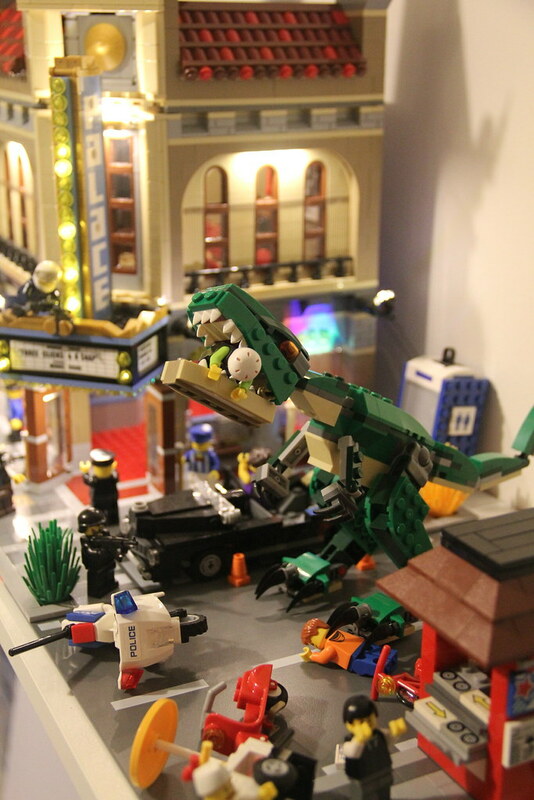 2012 saw the release of 6914: Prehistoric Hunters, and this T-Rex is definitely a step up. Well, we’ve had one in 21110: Research Institute, but that one was the rarer, fleshless variety. 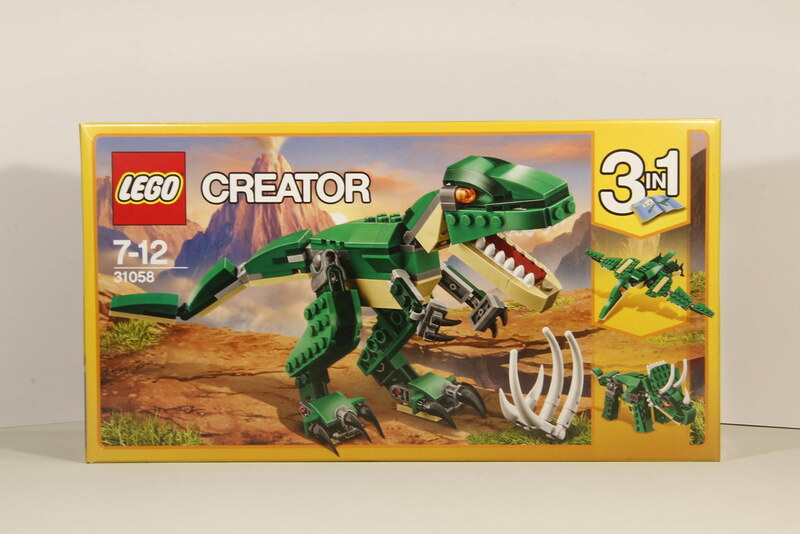 The model isn’t just the T-Rex, there’s a B, C and yes, even a D model – a pteranodon, triceratops, and if you look online, you’ll get instructions for a brachiosaurus/brontosaurus (aren’t they a thing again?). I didn’t get around to making the last one, but you can read about the other two below. Inside the bag you’ll find two bags, and three instruction booklets, one for each model. There is a ton of Green in this set, and it looks great – vivid colours that scream for attention. 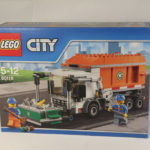 According to Brickset, there are a few elements in Earth Green that are unique to this set, including the 2×2 brick with cup, the 2x4x1 plate with side bows, and the left 2×3 angle plate. There is also some excellent SNOT brick varieties, including the new 1×1 brick with 2 studs on a corner, first seen in the new 10255: Assembly Square Modular. There’s a wide variety of SNOT elements, which means a great build is usually not far away. There are also some nice sloped varieties, and some ball joint elements thrown in for good measure. Otherwise we’ve have a very stiff dino! Some elements are ones I’d never seen before, including the Friction Ball Cup. There’s other names for it, but I’ll go with that as it rolls off the tongue better. It’s an extender for a ball joint, and it stiffens up the joint with the use of some rubber inside. It’s actually quite tough to move, which was surprising. These guys sit in the leg joints, which makes sense. I’ll get into that in the Swooshability section in a second. 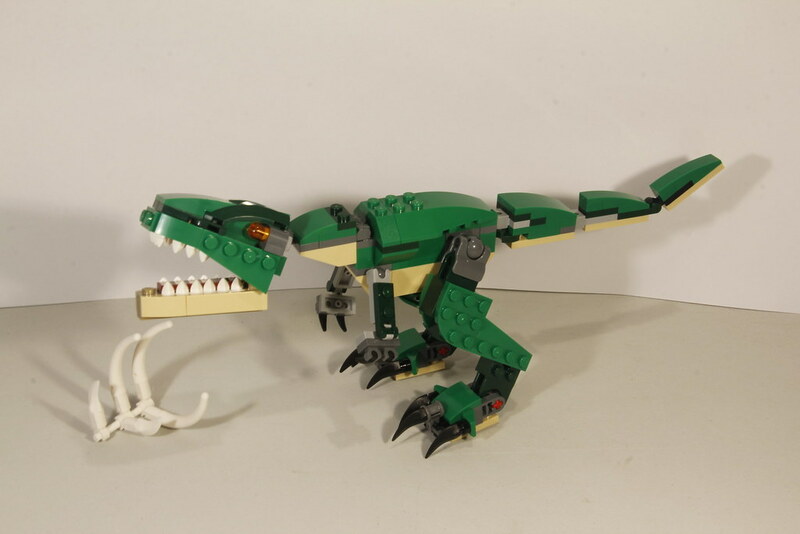 Finally, there’s a smattering of white elements, used as the teeth of the T-Rex, and the ribcage/skeleton that goes with him. This set is all about poseability. Unless the T-Rex had a jetpack. Then it would be swooshability. Anyway, the poseability for the T-Rex is great. I thought the fact that the legs were locked in at a right angle would impact it, but it was fine. It’s still quite front-heavy – the tail doesn’t really offset the weight, but a quick reposition of the legs and it’s fine. The Friction Ball Cup is a very clever addition to the hip joint. without it, the dino would fall forward and bump his big head, and with those tiny arms, he wouldn’t be able to push himself back up again! Ahh, the hilarious curse of the T-Rex. The head movement is excellent, with the fearsome jaw moving up and down, and the neck having a bit of articulation too. The triceratops has a little bit of movement, with most of it being at the head. The legs do go forward and back, but not very much, and usually only in one direction. The pteranodon is very poseable, and can stand as well as fly. ​These models are seriously fun to pose! I’ve made the T-Rex attack my city already. The build process is relatively quick and painless, and is a lot of fun. The models all follow the same order. Body first, then tail, followed by limbs and head. There’s some excellent SNOT work included, but still very simple techniques. 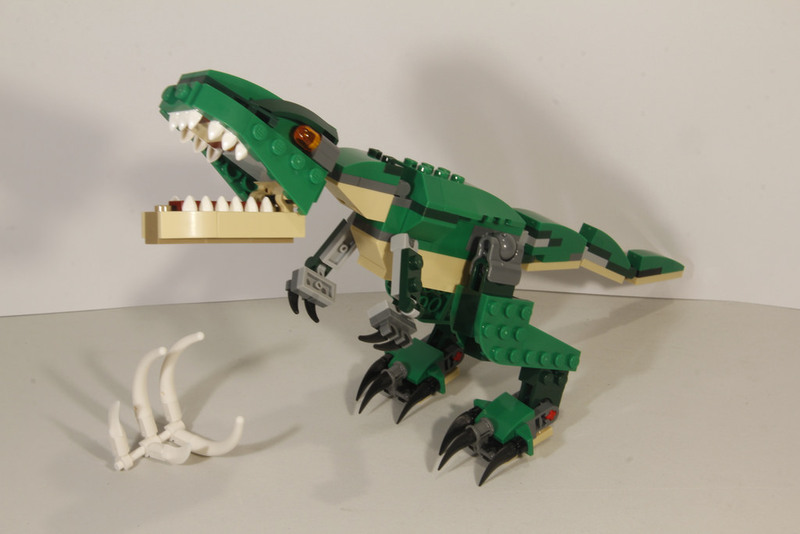 The best build by far is the Tyrannosaurus Rex, with the head in particular being extremely clever in it’s design. 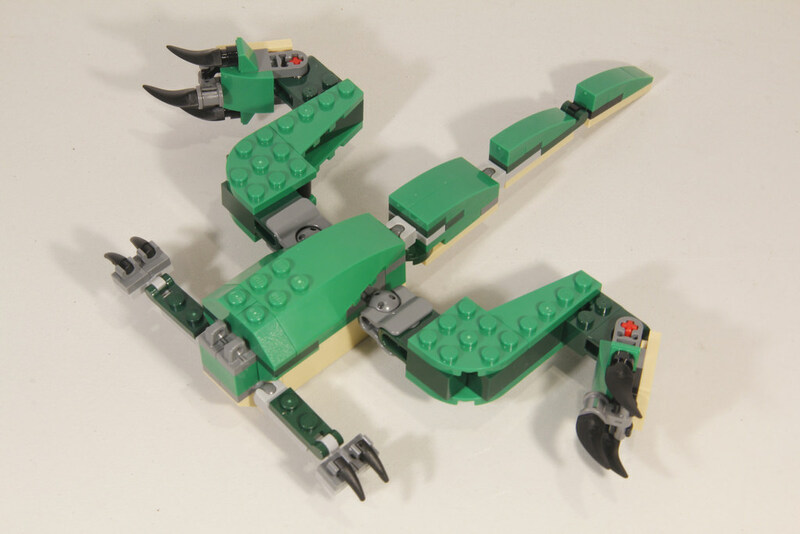 It’s funny, as during the build, the arms and legs are splayed out, making it look like you’re building a squashed frog with a tail! Let’s go with these one by one. First up, the triceratops. I love his head. The fan bit looks excellent from the front (not so much from the back), and the horns are spot on. The legs are a little stumpy, which ads a cuteness to it. It’s a shame the joints are dark grey, but aside from that, it’s great. The pteranodon is excellent. I love the feet, and the fact that it can stand up is brilliant. 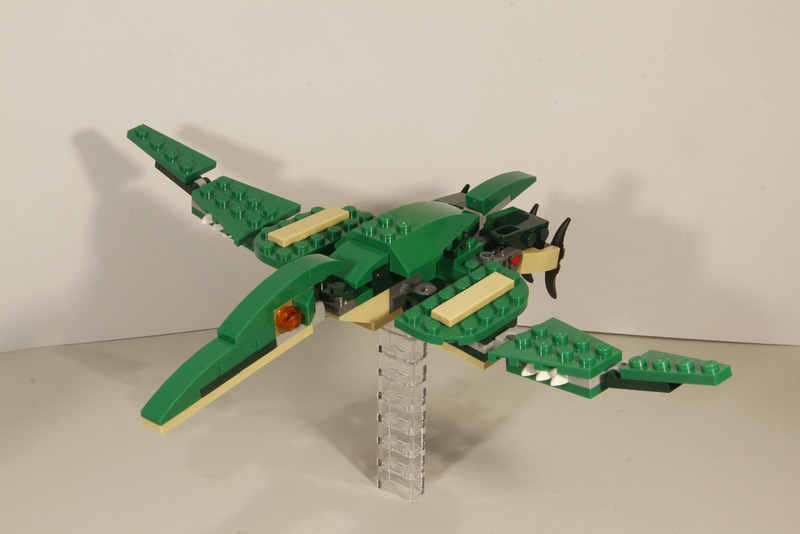 If the wings are tucked back then it can balance, although I’m not sure how scientifically accurate it is, but hey, it’s LEGO, so who cares! I really want to buy another few copies of this set so I can have them all together. 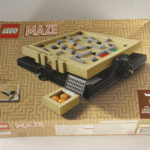 For $22.95, this set is a steal. There’s great pieces, tons of fun, interesting build techniques, and like I mentioned before, is worth getting multiple copies so you can have all the models built at once. Add in the extra online instructions for the D-model, and you’ve got a sure fire winner. 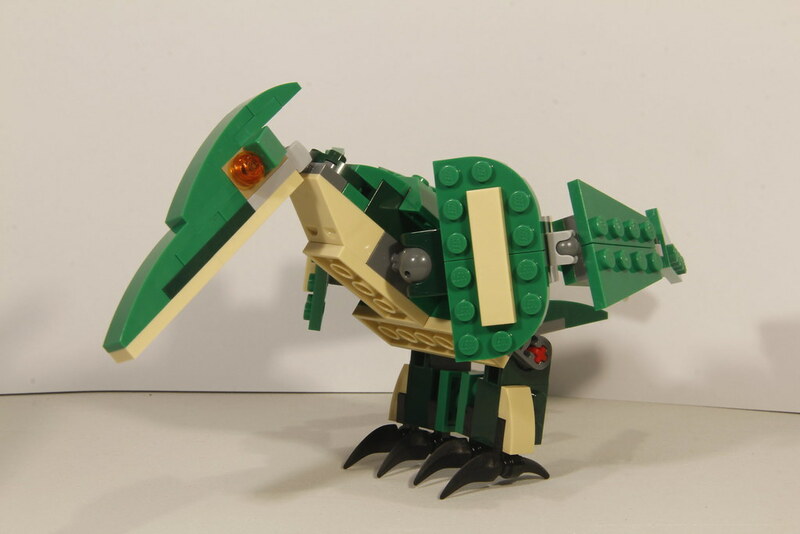 There hasn’t been many dinosaurs that are brick built, so having this one in your collection is sure to increase it dramatically. There’s good parts, and I think the set will increase in price after retirement, so get it now while it’s cheap.Overall: 90/100Next week I’m going to take a look at 76060: Doctor Strange’s Sanctum Sanctorum, and I’ll also be doing a live build on Facebook of one of the sets from The LEGO Batman Movie! Stay tuned to Facebook to see when that is (hint – it’ll be on the weekend). If you haven’t already, give us a Like, and you’ll be notified when it happens.